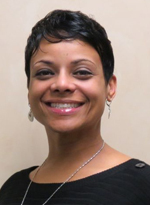 Sontonia T. K. Stephens graduated from the University of Alabama with a Bachelor of Science in Psychology and received a Masters in Community Counseling from the University of West Alabama. Having over eighteen years of experience in social service, she has been a voice for abused children, mentally ill individuals and the economically disadvantaged. In continuing with her passion of advocacy and community service, Sontonia is devoted to bridging the arts to underserved vulnerable populations in West Alabama. Her current volunteerism includes Board President of Kentuck Art Center; board member for the National Fuel Funds Network and Tuscaloosa Exchange Club Foundation. In the recent past, she served on the Board of Directors of Arts ‘n Autism, Child Abuse Prevention Services and Habitat for Humanity of Tuscaloosa. Ms. Stephens is a graduate of and participates in the planning for Leadership Tuscaloosa and is a member of the fund raising committee for Tuscaloosa Exchange Club. Stephens received the Defining Woman Business Award from the Chamber of Commerce of West Alabama, signifying her professional influence through numerous accomplishments, career growth and advancement, innovative and creative thinking and initiative at work and in the community. Ms. Stephens serves on the Long Range Planning Committee. She has been a member of Council since 2008 and most recently served on the Grants Review Committee.